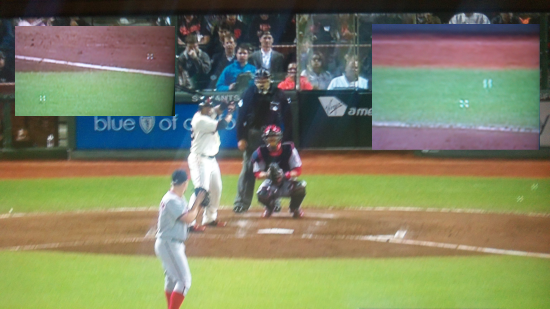 Here are some SHOCKING photos from Tuesday night's game between the San Francisco Giants and the Washington Nationals. And by shocking I mean that nothing else is really happening tonight but I feel like running with something. Look at the bubbles as they try to distract Jordan Zimmermann. He appears unfazed! (The bubbles come in from the right, but there is one over on the left too! What a breaking amazing story! 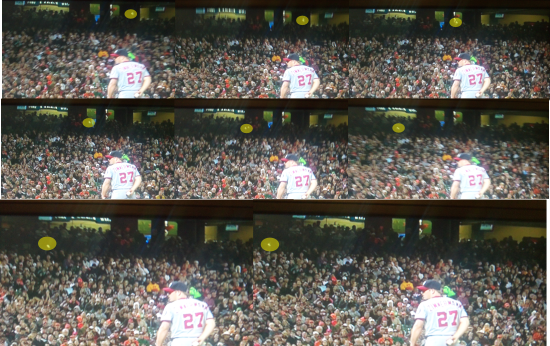 Here is the journey of one ball that got to the plate before Jordan Zimmermann could throw his pitch. Amazing. What coverage! Hope you are having fun staying up all night!